Professional Manpower Recruitment in Panipat India - Rathi Personnel Training & Placement Services Pvt. Ltd. Reckoned as one of the Best Manpower Consultants in India, Rathi Personnel Training & Placement Services Pvt. 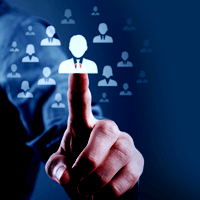 Ltd. is a reputed HR & Recruitment Firm in Panipat (Haryana) providing a host of HR Services. Our expertise lies in providing excellent Manpower Recruitment Services so as to provide clients the most qualified candidate to enhance their workforce. Besides, we also do Overseas Manpower Recruitment. As Overseas Manpower Recruitment Agency, we cater to the requirements of clients located in different parts of the globe. A well-known name as Overseas Manpower Recruitment Agency, we help in the growth of clientsâ�� business by delivering them a comprehensive workforce that will understand and work for their interests. We do Manpower Recruitment for a number of industrial segments that mainly include BFSI, BPO/ IT/ ITES, Human Resource, Engineering, Sales & Marketing, FMCG, Retail, Automobile etc.